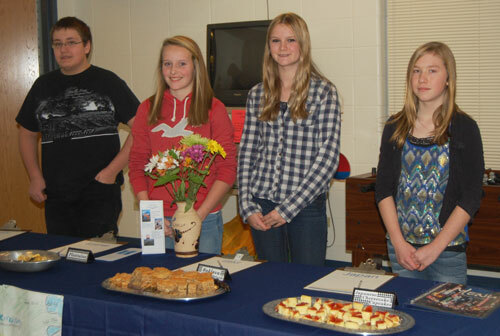 Four students in the gifted pullout program at Marticville Middle School treated their teachers to lunch recently. The students, participating in the Customs, Cultures, and Cuisine unit with FCS teacher Mrs. Long, each selected a country to research for the unit. They focused on how the cultures and customs are different from ours and also studied foods native to the country. Each student chose a food item to prepare on site and serve to their teachers during lunch. 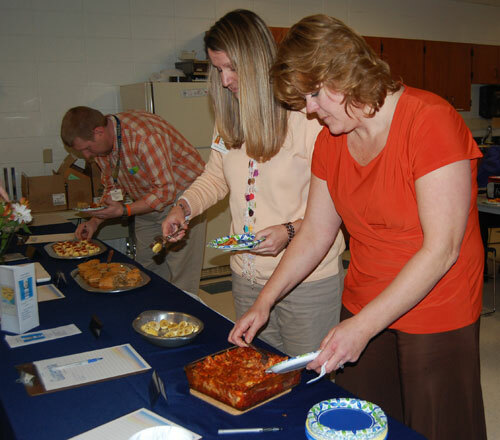 Eric Imboden chose Italy and prepared lasagna. AnnaKatherine Kirk studied Guatamala and served plantains. Alyssa Smith prepared baklava with honey drizzle from Greece and Erin Daniels chose Japanese cheesecake cupcakes from Japan. The teachers were impressed with both the students’ cooking and their knowledge of their chosen country.